Premise: A group of odd characters work at a Bestbuy-type superstore. Superstore is a work-place comedy set in the ultimate all-American location: A big store. It is not a bad idea at all and the two leads (Ferrera and Feldman) carry the show pretty well. This show is meant to be quirky and slightly surreal. The pilot episode alone has a store riot, a parking lot deadly tug war and a robbery turned flash-mob proposal. It sounds like it has all the elements for a decent comedy and if this was the first time this concept was used I would probably think it was a good show…HOWEVER I cannot classify it as anything more than “adequate” in a world where Chuck exists. In case you are not familiar, Chuck is comedy about a guy who works at a fictional superstore – the BUYMORE- and is accidentally turned into a spy. The show isn’t even about the store, but the few scenes that do take place there were flawlessly brilliant. The Buymore was everything Cloud 9 from Superstore should be. It is too early to pass final judgement on Superstore, and I think it has potential but I doubt it will ever be able to reach the level of the cult-hit that is Chuck. Should you watch it? Sure, but first go watch all five seasons of Chuck and throw in Reaper while you are at it. If you have some time to kill after that… guess you could spend it watching Superstore. Update 9.1.15: I have watched a few more episodes of Superstore and I have to say... it's growing on me. It is not a bad show and it definitely has heart... which is more than I can say for other shows. America is really likable and the show is finding its tone... but... the phrase 'they did it better on Chuck' just keeps coming back. I know it is unfair... Guess what I am saying is that... while this isn't 'brilliant' it might still be worth watching. Premise: A telenovela actress – who does not speak Spanish – is forced to work with her cheating ex. But let’s talk about the show. Telenovela tells the story of Ana Sofia (Longoria), the latina diva who must learn to work with her ex and keep her fiery emotions at bay. Spoiler alert, she doesn’t do a very good job. In previous posts, I have mentioned the concerns I have about the portrayal of latinos on shows like Jane the Virgin. I don’t think that’s an issue here because Telenovela falls under the “too crazy to take it seriously” category. So, is it any good? I am not sure how to explain this. The quick answer would be: No, this is a bad show. However, it is bad in a way that it is still sort of funny. Sure, it had a few funny lines* and generally good deliveries, but I can’t really claim that this show is unique or clever or… well good. Should you watch it? I have no clue. It may make you laugh… but cannot find a sound argument to endorse it. *Gotta give an honorable mention to the ‘boy band’ parody though. Watching Amaury Nolasco dance to some made-up Menudo-type song with an overall was definitely funny [in the most ridiculous sort of way]. So far, Superstore is getting the higher ratings. I think it's not particularly hispanic other than America Ferrara being in it. They are definitely going for a broader demographic with the rest of the casting. 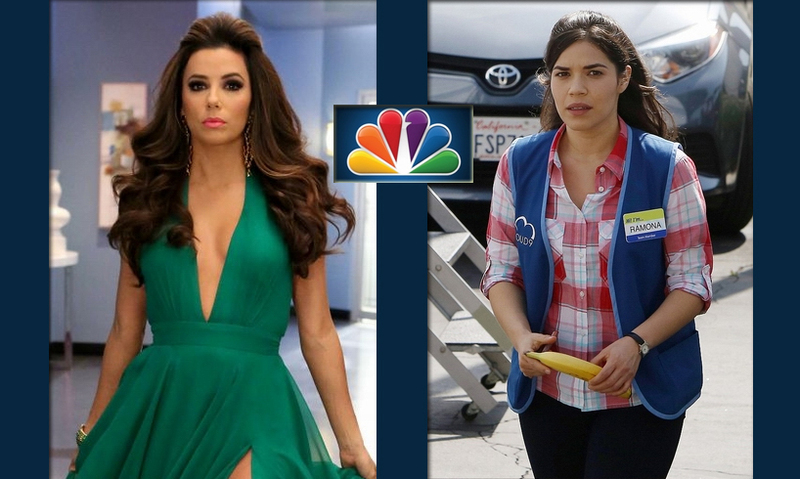 On the other hand, Telenovela is cast hispanic and more culturally hispanic. I did a deep dive into the difference in the audience between the two shows in Nielsen. Superstore is drawing in more non-Hispanic whites. A lot of those viewers tuned out when Telenovela comes on. Zachary Levi is only a guest star in a few episodes. This was in production at the same time as Heroes Reborn, which he is also in. He managed to slip in some Telenovela episodes during breaks in the other thing and when HR finished production.